A well-researched account of the extraordinary lives of the Laras of London during the Georgian period. 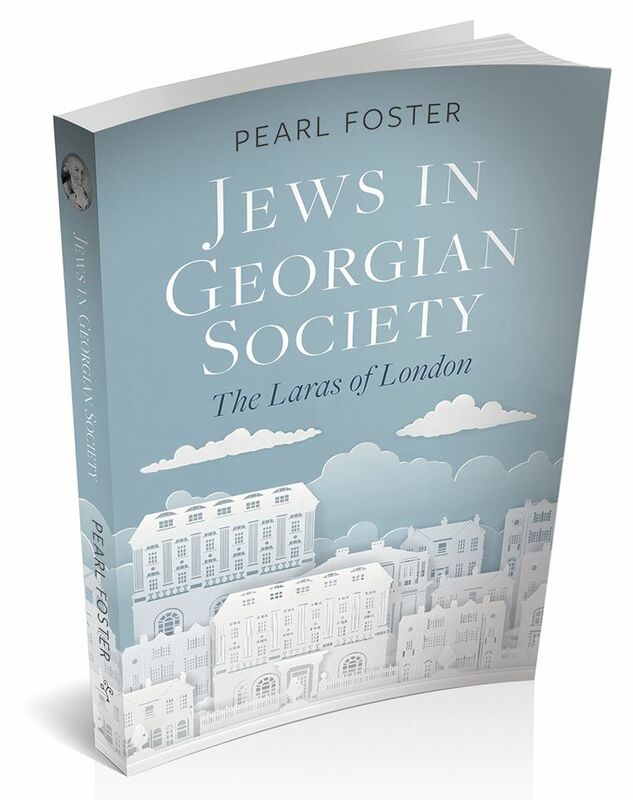 The extraordinary lives of the Laras of London during the Georgian period. Abraham collaborated with Pitt the Younger’s Government to reduce the National Debt. Esther’s husband was a good friend and benefactor of Horatio Nelson. Benjamin was the perpetrator of a huge lottery swindle and his brother, Moses, accumulated a huge fortune. Charlotte Dacre and her father the Jew King were personalities of the day. Their life stories are absorbing and entertaining: drawn from letters, court proceedings and other contemporary sources. Jews in Georgian Society is rich in detail and full of remarkable insights into the commonplace and exceptional circumstances of this extended family. a registrar of births, marriages and deaths. She has pursued a lifelong interest in family history research – in particular a branch of the Lara and Furtado families who escaped the barbarities of the Portuguese inquisition and fled to England. Pearl is married, has two children, is happily retired and will be pleased to hear from anyone tracing similar lines.The author can be contacted at lara.furtado@yahoo.com. Take a look at the Advance Information Sheet here. 'Yate genealogist tells her fascinating family history in new book.' Read the full Gazette article here. 'Written with the full and passionate curiosity of the family genealogist, Jews in Georgian Society opens up a curious world of success and failure among the rapidly-growing Jewish immigrant community of Georgian England.' Click here to read Simon Doubleday's full review.